In late 1979, when Iacocca dived deeper into understanding Chrysler, he realized that nobody in the company fully understood what was going on in terms of finances and projections. Finding out the return on investment for each plant was rather difficult because no one took responsibility at Chrysler. 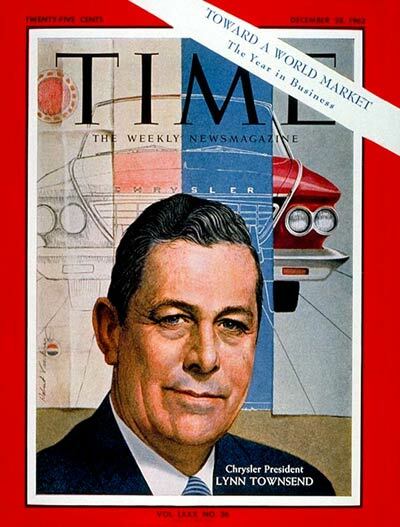 Lynn Townsend ran Chrysler and according to Iacocca, he focused on oversea expansion (to enhance the companies valuation) rather than quality vehicles at home. Townsend aggressively expanded in Europe and in the process made himself very wealthy but Iacocca maintains that Townsend did not understand the fundamentals of the car business. That was because Townsend was a banker. So much so that Chrysler was running a marginal or losing operation around the world.